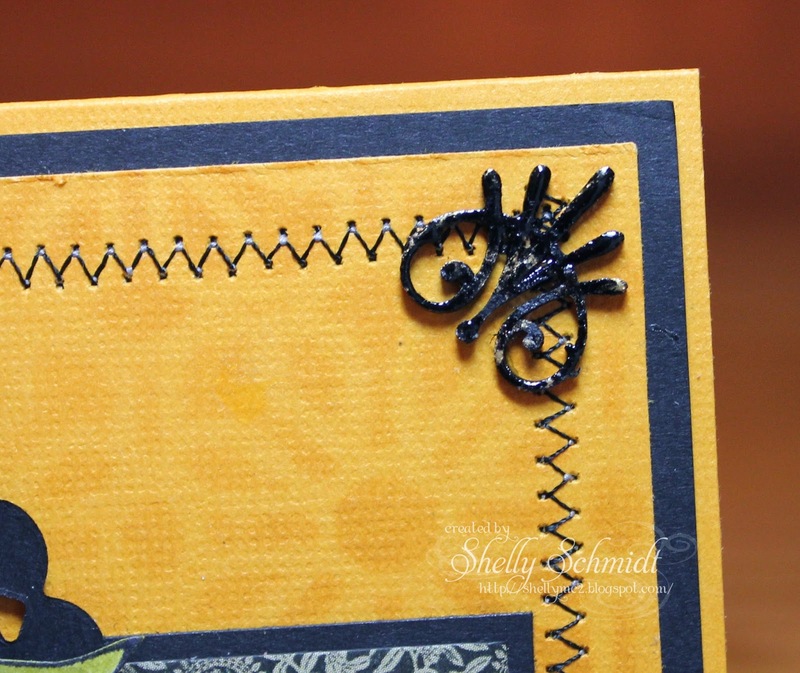 The Butterscotch cardstock has Butterscotch ink (Spot) through a stencil as a background- it is a subtle backdrop for the floral image. I colored the image with Copics. I used a towel and Copic Colorless Blender '0' to texturize the vase. Absolutely beautiful, Shelly! Love the butterscotch color and your stitching. 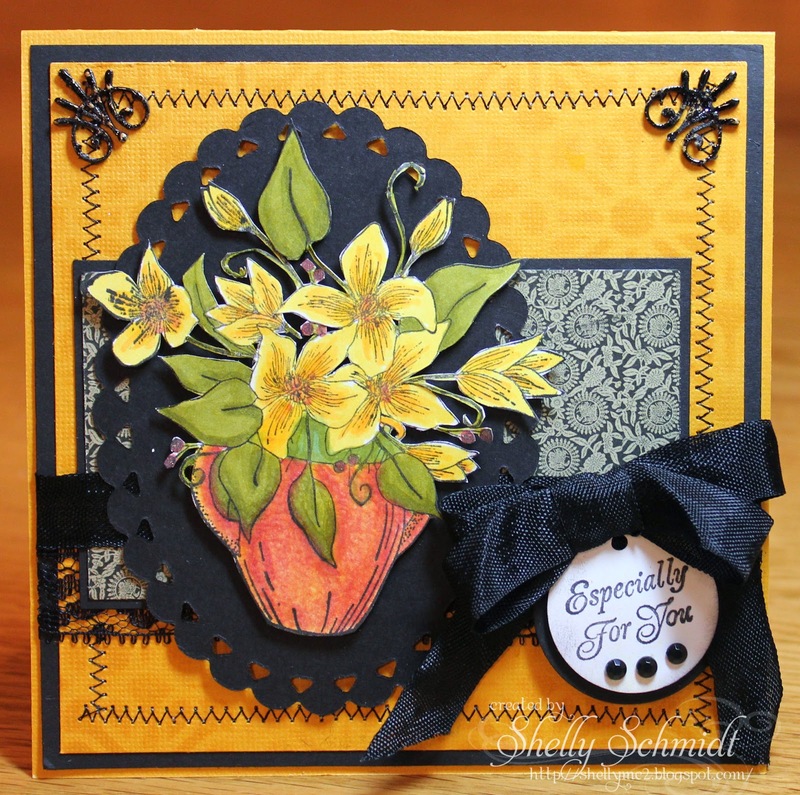 Gorgeous card Shelly and what a nice color combo and corner feature.